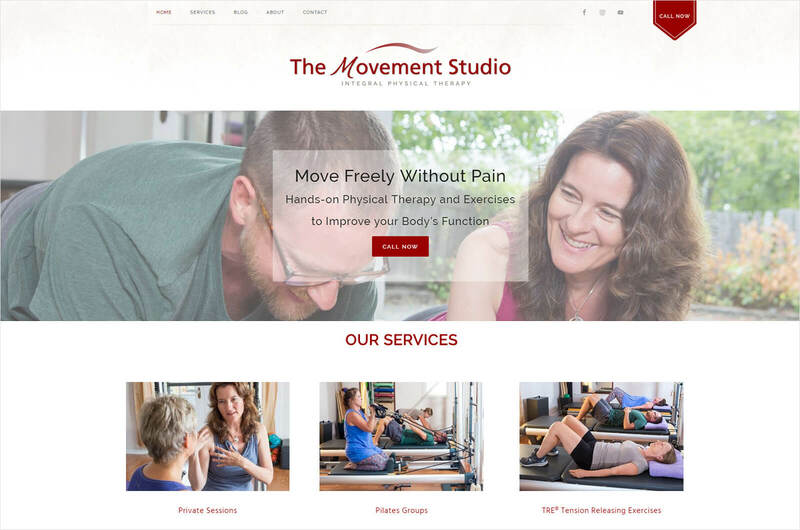 Mary Gorman, physical therapist, owns The Movement Studio in Talent Oregon. The cornerstone of her practice is integral physical therapy – which means she blends methods of bodywork when working with clients, depending on the issue she is treating. Her fount of knowledge includes physical therapy, massage therapy, Rolfing structural integration, Pilates, yoga, primal reflect release, myofacial release, posture alignment, Tension Releasing Exercises and more! Mary is constantly furthering her education and has incredible results working with her patients from this integral approach. The Movement Studio offers private sessions, Pilates groups, and TRE – tension releasing exercises. This sleek, modern site features informative videos and robust social media by Sitely Media, beautiful photos by Debra Thornton, and was developed with the visionary insight of Mark Laughlin and his strategic website planning.